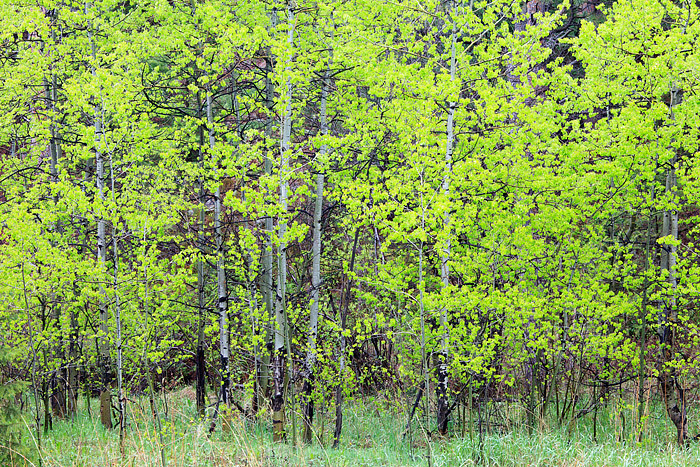 Aspens tree's in Boulder's Gregory Canyon show off their spring leaves under a light rain. Aspen tree's take on a brilliant almost neon like appearance when their new leaves are budding out. Photo © copyright by Thomas Mangan.